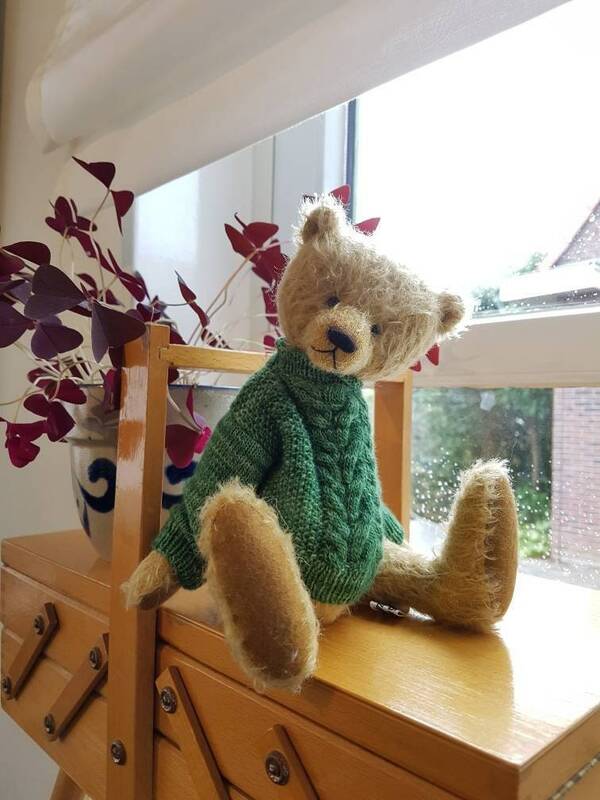 Hank is a made from a lovely blonde mohair fabric. 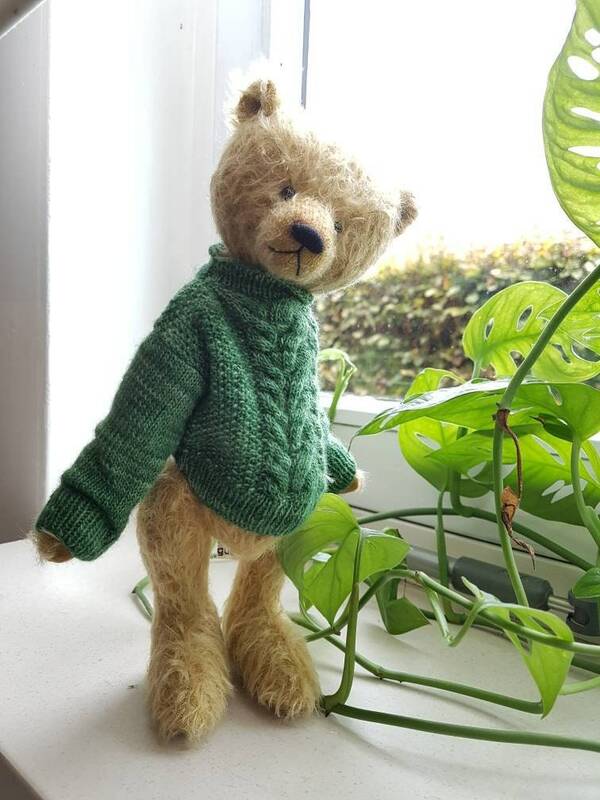 I knitted him a sweater from very soft merino yarn. He is fully jointed. You can move his head, legs and arms. If you have any questions just ask me. 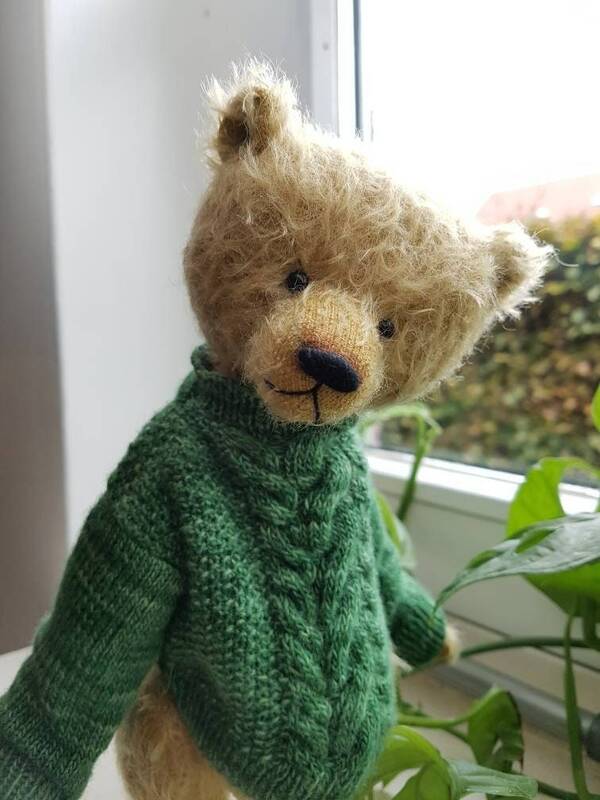 Pattern of bear and sweater is my own design too. 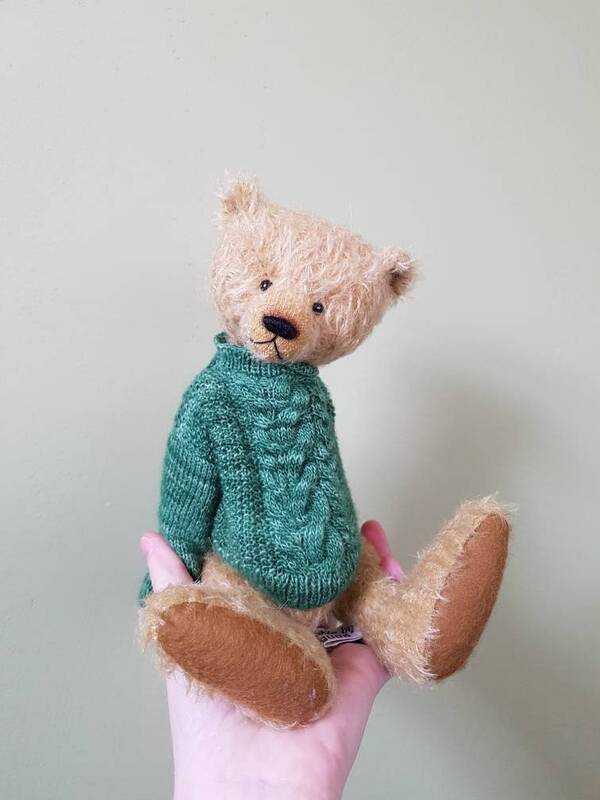 Love making tiny sweaters! 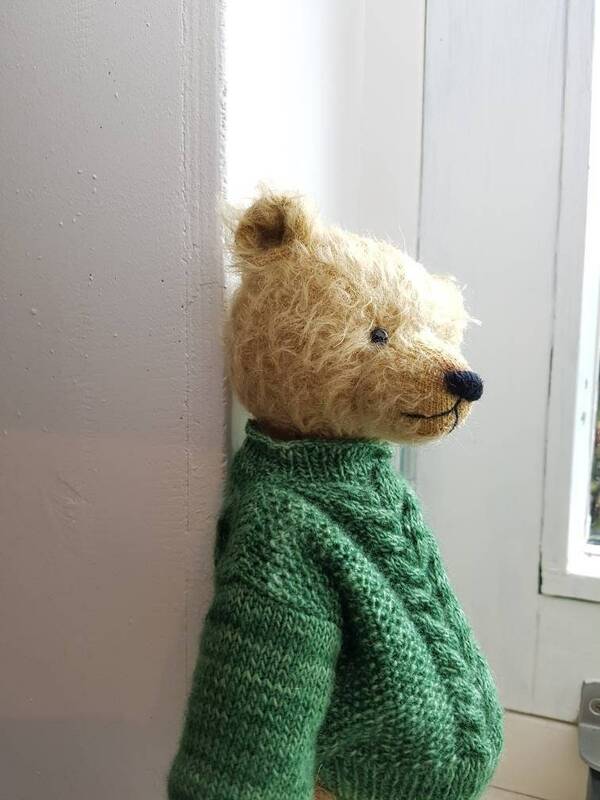 Hank is 26 centimeters tall.